We are open to the public all year 8:00 AM till 7:00 PM daily except DEC 25. 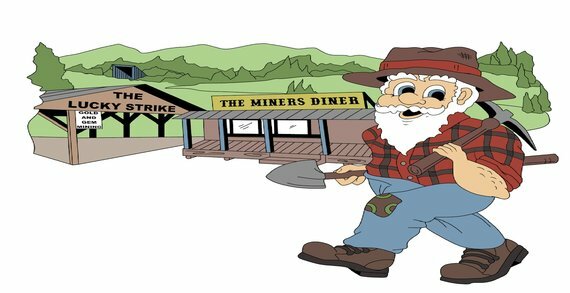 The Lucky Strike is a gold and gem mine with a campground that is committed to making sure our visitors have a memorable outing. You can take a step back in time to the days of yesteryear by taking a pan or sluice box into the stream. Experience the thrill of that golden gleam in your pan that only finding your first flake of gold can give. It immediately inflicts you with what the old timers called gold fever. Beware; when you see that first glint of gold in your pan you will be hooked! Gold fever has no cure but to hunt for more gold.